Creating distinctive social settings that are welcoming and feel like ‘home’ is a vital trend across myriad architectural environments - from commercial to hospitality to residential. 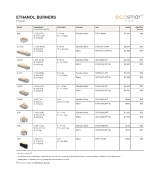 Because bioethanol is a clean-burning fuel source you don’t need a flue or chimney at all. 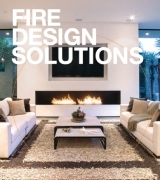 This means that you can create a beautiful fireplace feature with ease. The linear features and absolute versatility of the XL1200 burner lends itself to the creation of stunning architectural masterpieces. Easily integrated into bespoke settings - from specially-made cabinetry, media units, walls, floating benches and pillars. You have the freedom to be creative. 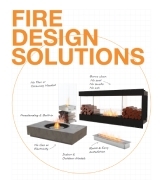 Purpose-designed baffle inserts allow you to regulate and further stabilise the flame. Linear features and minimal clearance requirement provide the freedom to create a stunning horizontal piece of architecture. Fuelled by clean-burning e-NRG bioethanol the XL1200 produces a beautiful orange flame without any smoke, soot or ash. 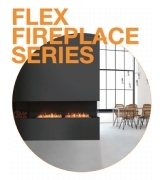 Flexibility is yours with the use of stainless steel, install indoors or outdoors and create your perfect fire feature. Read the manual carefully before operating the burner. Physical model dimensions should be verified agains cut out dimensions BEFORE installation begins to confirm tolerances align. This model comes with accessories to ensure the safe operation, including a Fire Lighter, Lighting Rod, Jerry Can 5L, XL1200 Top Tray and XL Baffles.